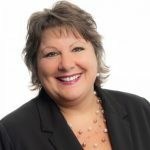 Developing better relationships for business success - Brilliant Breakthroughs, Inc.
Are you taking the right steps to develop better relationships with your customers everyday? 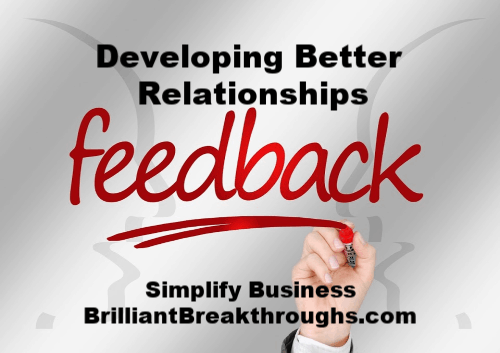 Developing better relationships doesn’t have to be difficult – unless you want it to be. Many find business relationships are easier to develop than personal relationships. I agree! If you aren’t sure if you’re effectively developing better relationships, just look at your revenue stream or streams. Revenue streams indicate if you’re building a good relationship with your customers or not. Your Business Success Rate never lies. At first, you may want to blow-off this concept. NOTE: If that’s you, you really need to keep reading! Your Revenue is in direct correlation as to how well you understand your customers’ wants and needs. Are you creating a great offering (product or service) they want? Do you deliver fantastic marketing to attract them? Is your price-point in the sweet spot? Do they refer others to you? If you don’t have a “yes” after each question, you still need to work on your relationship. Don’t be overly concerned if you still have more work to do to build a solid relationship with your customers. If you concentrate your efforts on this, you will get closer to the customer relationship you envision. You see, customers communicate with you all the time. They use money as their medium. If they like you and your offering, they communicate this with a purchase. Then, if they believe you are the best – they become raving fans and/or refer you to others. Conversely, if they think you don’t understand them and what they want and/or need, they won’t purchase from you. It’s a fairly simple relationship. When you get it right they are with you and when you don’t, they aren’t! Don’t stop developing something once you launch or take it to market! This is an ongoing process. Straight talk moment: Don’t be delusional about this! What do I mean? Too often I see Small Business Owners creating an offering for themselves instead of their customer. Essentially, they create something they like and share it with a minimal amount of people. Then, move on to their next offering. Secret: This is how you develop relationships that hold strong over time. A repeat customer is priceless. I invite you to slow down and look at what you’ve spent a good amount of time on regarding the develop of your offerings. Which offering of yours needs you to invest your time into developing further so it can support your ambitions and business? Pick one of your offers and get busy tweaking it until it’s ready to serve your marketplace in a grand manner! This is how you secure a great customer relationship – make an offering for them to love! FYI: This is a great example of my quote, “… business is nothing but an experiment”. This approach is what many millionaires follow. Isn’t it your turn? What offering do you have that’s ready for some extra TLC time so it can ultimately make your customers want to purchase from you more often?